Miller, M. C, V. Alexander, and R. J Barsdate. “Effects Of Oil Spills On Phytoplankton In An Arctic Lake And Ponds”. Arctic 3. Arctic (1978): 192-218. http://www.jstor.org/stable/40508899. Spatt, P. D. “Seasonal Variation Of Growth Conditions In A Natural And Dust Impacted Sphagnum (Sphagnaceae) Community In Northern Alaska”. University of Cincinnati, 1978. Cornelissen, Johannes HC, and R. J Barsdate. 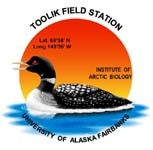 “Sensitivity Of Arctic Lakes To Phosphorus Loading”. Technical Session Papers, 18Th Alaska Science Confrence. Technical Session Papers, 18Th Alaska Science Confrence. Anchorage, AK: Alaska Division of AAAS, 1977. Miller, M. C, and John E Hobbie. R.a.t.e.-The Toolik Lake Program. Arctic Bulletin. Vol. 2. Arctic Bulletin, 1976. Miller, M. C, and J. P Reed. “Benthic Metabolism Of Arctic Coastal Ponds, Barrow, Alaska”. Vereinigung Verhandlungen International Limnologie 19. Vereinigung Verhandlungen International Limnologie (1975): 459-465. doi:10.1080/03680770.1974.11896085. Blakely, Bethany. “Albedo Vs. Energy Budget Partitioning: Effects On Climate”. Department Of Biological Sciences. Department Of Biological Sciences. University of Notre Dame, n.d.